Dear Salvation Army – Do Something…But Do It Well! 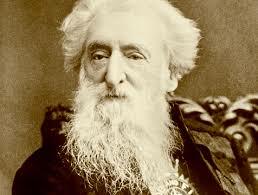 William Booth, founder and first General of The Salvation Army, recognized a need when he saw homeless people huddling under a bridge. He looked at his son Bramwell and said “Do something!”. Since the early days of our Army we have been doing something to help those in need. This is nothing new to most of you reading this because you, as a Soldier of our Army, are actively participating in “doing something”already. We understand that there is a need and if we can help, we should. But is doing “something” enough? What I mean is, are we doing what we are doing well? Do we strive for excellence in our “Somethings”? Is our motivation for program and activities propelled only by maintaining or numbers and statistics? I would hope not. We are not the army of maintainers. We are not the army of programs. We are The Salvation Army, and our mission for Christ should propel us constantly forward. Our “somethings” what ever they may be ought to be provided out of need and necessity not strictly tradition and maintenance. Similarly, General Booth advised that if Corps were not growing or producing they ought to be closed immediately and the officers should move on to another town or location. Are our roots of tradition and staunch “status quo” too deep today? Does this prevent us from being that revolutionary Army we once were in Victorian England and subsequently the US and Canada and many, many other regions in the world? In our striving to do not only “something” but EVERYTHING are we unintentionally aiming for mediocrity in mission as we spread ourselves too thin? Perhaps as our Salvation Army movement has grown we have evolved into an entity too big to micro-manage…is that such a bad thing? I say no. But we are so large and power/financially hungry that we must delve into every aspect of social helps? In so doing (if this is indeed the case) have we spread the “service” and “something” so thinly that we cannot possibly begin to expect long-term and life-changing results in those we serve? Yes, we ought to do something, and do it immediately to help those in need. That is without question…but are there certain tasks that we currently perform in our ministries that perhaps we ought to discard? What purpose are some of these tasks still performing? If we were to look at specific programs and line them up with our community’s needs would they serve a purpose? Is THAT specific program or service needed and does it help save souls and serve suffering humanity? If the answer is “no” and it is just something we are required to do or something we have always done perhaps it’s time to let it die. Even Soldiers and Officers of our Army carry around sacred cows that no longer serve any purpose in our present ministries. This is a top-down issue but it is also a local officer and corps issue as well. I would imagine if Booth were around today there would be far more corps closing, a lot less sacred cow keepings going on and possibly a few more fires burning to prompt all of us to get on with it. We just don’t have time to dwell on these less important things when there are broken lives who need this army in the here and now! If we’re going to do “something” I pray that this something is worth it! Don’t misunderstand, it isn’t about perfection in programming, but it is about sincerity, compassion, intentional ministry and effort. One might argue that the life of an officer and a soldier is really, really busy to get it right…and that’s exactly my point in writing this today. If we are so consumed with all of the mundane and the unimportant tasks (insert those here as they vary from location to location) what time is left to that which is critical and vital to meeting human needs in His name? Dear Salvation Army, we aren’t an army of mediocrity. If we cease to perform those tasks of reaching souls for Christ because we are too busy chasing funding and worried about our image and perception, I fear God will replace us with those who are willing to do the impossible. Consider this a shot across the bow. Consider this a warning. We are not an Army of doing “everything” but we ought to be doing “something” and that something ought to be done as best as we can! Perhaps it’s reaching one family or one soul at a time. Forget about numerical success and financial success. Although these are often indicators of “success” they are secondary to our mission of doing “something” well. Our first order of business is to be in constant prayer with the Father to guide us and to send us a re-ignition of the Holy Spirit. Without His guidance on what must be done we will flounder and fail. It sounds basic…because it is and yet this discipline can get lost in the busyness of our Army. Secondly, as we are constantly praying for guidance and direction we must venture out of our walls and comforts of these corps buildings and centers. We must engage those in need at where they are. The bars are still open to the drunkards and the socialites, they did not close because the War Cry sales have ended. The grocery stores still operate to the public long after the red kettles are put away for another year. Nursing homes still provide services to the shut-ins and sick long after those care teams come during the holidays. That single parent who barely makes ends meet by working two or three jobs still needs someone to talk to after our social service office closes for the day. There are many avenues for intentional “somethings” that could mean everything to the hurting, the marginalized, and the broken. Yes, Dear Salvation Army, do something…do anything…but do it well! Make your efforts count, and make sure it is done with love and compassion not obligation of uniform or service! This is spoken from my heart and my own convictions today. I am equally guilty of spreading my efforts far too thinly. I am equally guilty of chasing that next funding source (though important) or worried about others perceptions of me instead of what God is calling me to do for Him right here and right now. Let’s get on with the important stuff and let the sacred cows and mundane tasks take a backseat for a while. Previous Post Previous post:Dear Salvation Army, Do We Shoot Our Wounded? Scott; Thank you for this apt reminder and warning. Years ago, I was cautioned by a divisional secretary with a word of encouragement! He said, while I was voicing my various frustrations, that the Salvation army’s desire should be in tune with God’s desire for our ministry as corps officers. His prognosis was that for each of the various corps, we should focus on that “one small thing” which we individually do well, and put our passion for ministry primarily there. I was challenged by this, and have never forgotten his words of wisdom. Thanks Jim! It is good to hear this notion is felt and seen! I too can get caught up in doing everything that I am good for nothing. Our efforts should find that thing we do well and do it all for the glory of God!